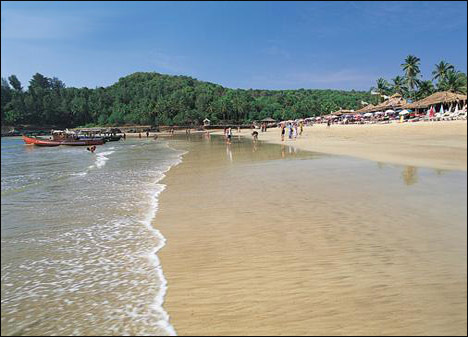 Goa is India's smallest state in terms of area and the fourth smallest in terms of population. Located between Maharashtra, Karnataka & Arabian Sea, Goa boasts to be one of the best scenic locations & travel destination in the world. Panaji (also referred to as Panjim) is the state's capital. Portuguese cultural influence still exhibits in the historic city of Margao. Portuguese first landed in Goa as merchants, in the early 16th century, and conquered it soon after. The Portuguese colony existed for about 450 years (one of the longest held colonial possessions in the world), until it was taken over by India in 1961. With wonderful beaches, temples and world heritage architecture, Goa is visited by hundreds of thousands of international and domestic tourists every year. The Western Ghats range is also classified as a biodiversity spot. One of the most developed states in India; Goa enjoys a high standard of living.